"This trend demands more forceful action. As such I’ve directed an operational pause be taken in all of our fleets around the world," Richardson said. 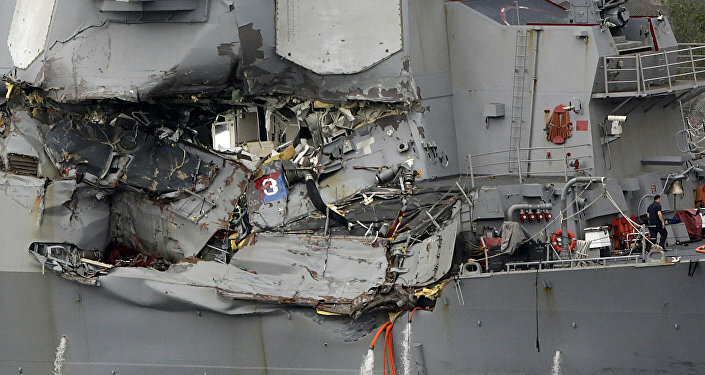 Secretary of Defense James Mattis said that a probe into recent collisions has been ordered. The defense secretary said there is a separate investigation underway that would determine what happened to US destroyer John S. McCain, which is damaged after colliding with an oil tanker off the coast of Singapore. — U.S. Navy (@USNavy) 21 августа 2017 г.